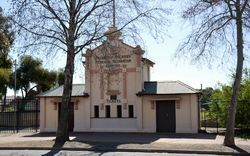 The Soldiers Memorial Recreation Grounds commemorate those from the district who served in World War One. 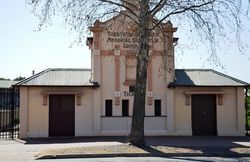 The entrance gates to the ground were erected in 1922. 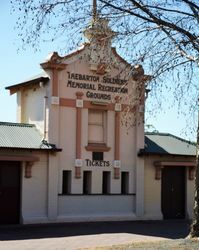 Thebarton was amply compensated for the disappointment suffered in connection with the original arrangements of the offical opening of the grounds by the glorious weather conditions which prevailed on Saturday when the postponed ceremony took place. Happiness was the order of the day, and the thousands of people who gathered round the oval and flooded the grandstand showed every sign of keen enjoyment. 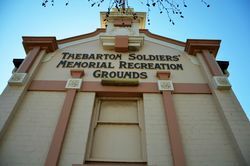 Thebarton has adopted a very fitting method of perpetuating the memory of the soldiers of the district who took part in the war, especially as the Thebarton Soldiers Memorial and Recreation Ground will have a particular attraction for the young folk. Daily Herald (Adelaide), 31 October 1921. 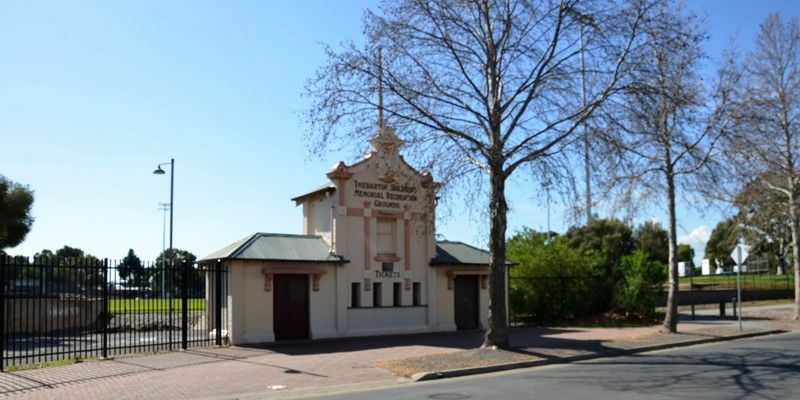 Tenders have been accepted for the erection of substantial entrance gates to the Thebarton Soldiers' Memorial Recreation Ground. 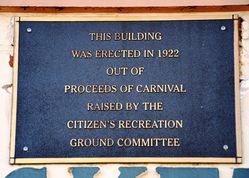 The funds for this were raised by the efforts of the recreation ground committee. At the back of the entrance pavilion a fine scoring board is to be erected, and the whole structure is to be in position in time for the opening of the football season. The Register (Adelaide), 18 February 1922.